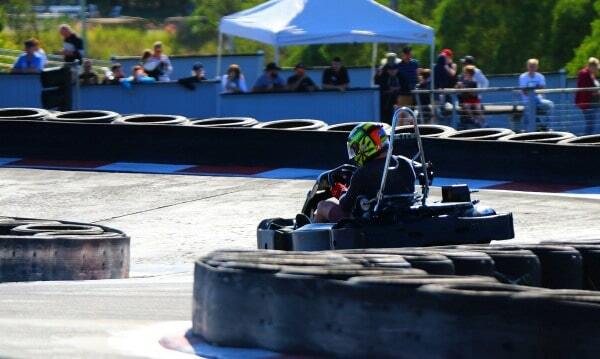 Slideways Go Karting Australia | Early Birds Get the Discount for July Race Days! Early Birds Get the Discount for July Race Days! Home News and updates Early Birds Get the Discount for July Race Days! The Sprint Series has grown strongly over the first three rounds of the season, with incredibly competitive racing in all classes. In the Senior Heavy class, for drivers over 80kg, Pete Brown holds down the points lead after claiming three race wins to date over Ben Talbot and Joel Dimmack, while Michael Seeto’s two victories have him leading Clay Seaborne (three wins) and Dean Ferguson (one win) in the Senior Lights class for drivers under 80kg. The Cadets class, for drivers aged 7-11 years old, has proven to be a highlight of the season to date, with bumper fields turning on excellent racing. Little splits Hamish Shields and Olivia Herbison at the top of point standings with both drivers having claimed two victories a piece, while Riley Hill is close behind in third. The Juniors class, for drivers aged 12-15 has tightened up in recent rounds, with Jacques Goodman closing in on points leader Liam Hydes, with Lewis Spencer not far behind in third. Many of the Cadet and Junior competitors have been honing their craft in the Slideways Junior Karting Academy, which provides weekly tuition for youngsters, teaching them the tips and tricks of going fast! On the Enduro side of the equation, things are really heating up at the top of the standings. Victors in the two most recent rounds, Global Action Photography lead the way by just 19 points over CTS Motorsport, with TSR looking to return to their winning ways after they claimed the opening three events of the season. The Enduro Series continues with the popular 90 lap/65 minute format, with a pair of compulsory driver changes, with all drivers also receiving 10 minutes of qualifying each. For more information on all Slideways Race Days, check out our dedicated Gold Coast Go Kart Racing web page, or call the office on (07) 5546 6566 between 9am-5pm, 7 days a week.